Looking for a February 2018 calendar to print? 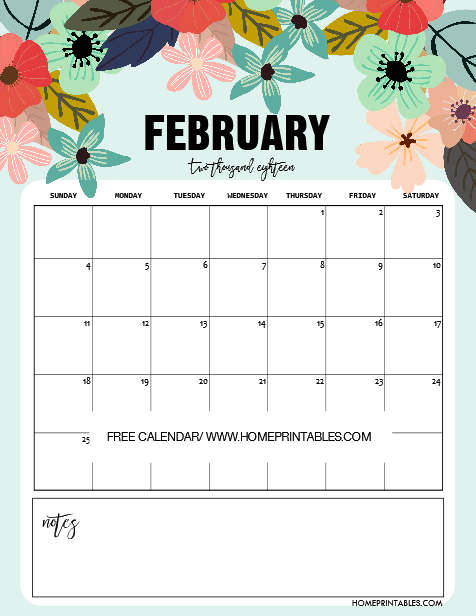 We’re officially opening our free printables series for February by giving away six cute calendars that you can print today! What are you waiting for? Keep scrolling to view the adorable designs that we have for you! Welcome to the blog, friends! You are currently here in Home Printables Monthly Calendar Release series. 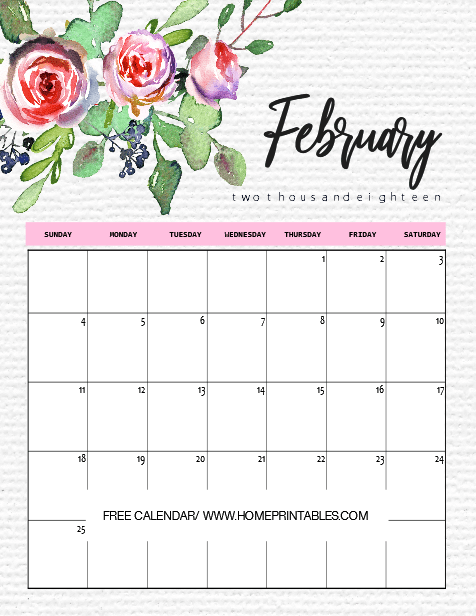 While we have already shared 10 beautiful calendars for February last time (which you can also snag here), we thought of having another round of calendar freebie today to spread the love! 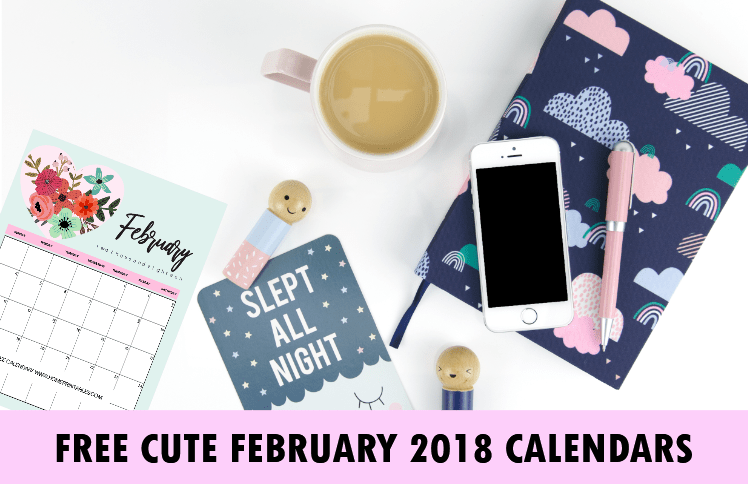 Your Free February 2018 Calendar: 6 Cute and Adorable Designs! Plan the month with these cute calendar planners that we have for you. These calendars all come in cute florals! We incorporated graphics created by Mia Charro and White Heart Designs in designing these pretty planners. Make these calendars yours today! Ready your printers, you are about to enjoy these freebies! Looking for a February 2018 calendar that you can use to countdown for Valentine’s Day? You might like to print this cute one that we’ve created for you. This calendar has a beautiful bunch of florals framed in heart! Oh, how lovely! Calling out teachers and moms out there! Build excitement to your little ones come Valentine’s Day by posting this calendar in your homes and crossing out each day till Valentine’s! In the mood to use a calendar in full blooms? Snag this pink calendar that has an amazing floral bundle to use! You can have this as a month to organize your month! If you’re a student, this will be a perfect addition to your school binder! It will help you ease organizing your schedules in school! The next calendar that we’re sharing comes in watercolor print. Use this to get organized in your workplace! Oh, it comes in textured paper background by the way! The last calendar that we’re showing in this post comes oh-so-cute! This is excellent to use as a monthly planner for February because it has a big room for your monthly notes and reminders! And oh, speaking of monthly planners, have you printed our popular “2018 Happy Life Planner” yet? It will help you organize your life this year! There are 2 more designs not shown here which you can see in your download! 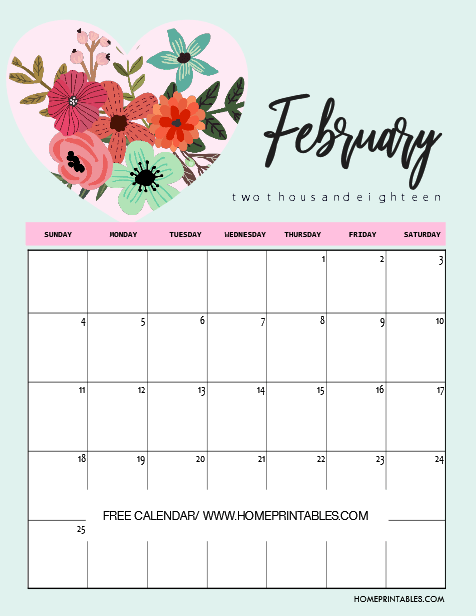 Do you like to use these free February 2018 calendars? Do snag you free printable copy HERE. Please enjoy the calendars! Loving these free calendars? I hope you can help us grow the blog by pinning us on Pinterest! Thank you! 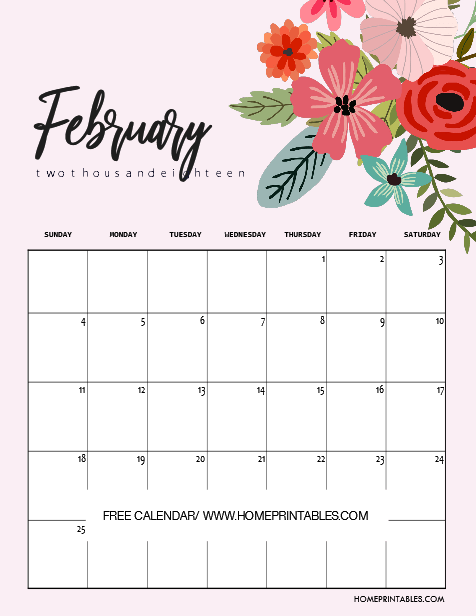 P. S. You might also like to view our beautiful monthly planners here which you can snag for free or view more calendars for February. They’re all free to use! Thanks for these lovely calendars! Much appreciated.